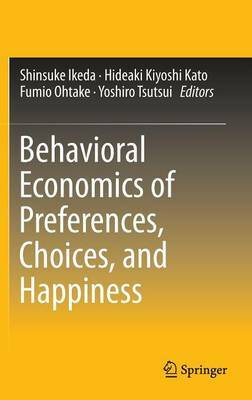 This book is a collection of important contributions by Japanese researchers and their coauthors to present current advances in behavioral economics and finance, particularly in relation to decision making and human well-being. The topics covered in this volume include decision making under the conditions of inter-temporal choices, risk and social relations, happiness and the neuro-scientific/biological basis of behavior. The book includes works of research, both theoretical and empirical, on time discounting, time preferences, risk aversion, altruism, social status, happiness, addiction, limited attention and health and financial investments. The authors of the chapters add supplementary discussions to survey more recent advances on related topics or to provide detailed information that were abbreviated in the original publications. The addenda will enable readers to deepen their understanding of decision making and human well-being.